During the Cisco Partner Summit in Montreal Fast Lane received the Cisco Learning Partner of the Year award for the North region. In addition to the Benelux countries, Denmark, Norway, Sweden, Finland and the Baltic states are part of Cisco's North region. Among other things Cisco mentioned Fast Lane's business growth in the region. Herman Goedman, Managing Director, Fast Lane Benelux, comments: "We're very proud to have received this award. The Benelux countries are an important part of the North region. We're glad to have been able to achieve our business goals and to receive recognition from Cisco for that. I would like to thank our customers, partners, instructors, resellers and employers. Without them we wouldn't have been able to achieve this." 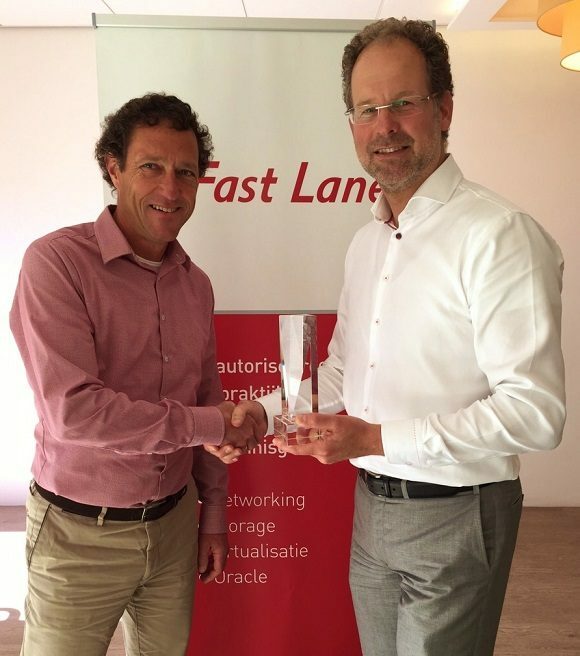 Toon van Geet, Global Manager Direct Learning Partners at Cisco (r), hands over the award to Herman Goedman, Managing Director, Fast Lane Benelux.